“The Congress threw away a great opportunity to help the people. If it has granted all necessary relief and then by a policy of rigid economy reduced governmental costs, avoided a deficit and more debt, the country would have looked on it as a savior. Politics is always present. Probably there were those who thought they would profit politically by being able to charge that business is bad and taxes and debt have been increased. Those making the charge in the future will have to explain what constructive measures they proposed to revive business, promote economy and reduce taxes and debt. 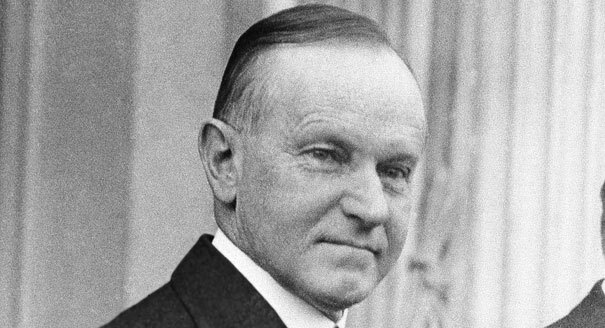 Those voting for the largest peace-time expenditures any Congress ever authorized cannot escape responsibility” — Calvin Coolidge, March 4, 1931. As talk of Congressional deals to reopen the government seem imminent, funding everything including Obamacare, what is not being discussed is how any of these proposals advance the interests of the people. On an unprecedented scale, we stand alone, without representation in Washington. The establishment of both parties, insulated from the impact of their own decisions, seem content to ensure surrender to the President and his agenda on every point of difference so long as they get to hold some measure of Congressional power over the money and committees. Observing a Congress ready to embrace the largest peacetime tax increase up to that time, as proposed by President Hoover, Coolidge would live to see the first deficit in over a decade and its attempted remedy, the disastrous Revenue Act of 1932. The Republicans, flinching at the prospect of unpopularity, forgot the lessons of the 1921, 1923 and 1926 recessions. Instead of holding firm on reducing expenditures, cutting waste and following Coolidge’s recipe for success, fear prevailed over principles. The quick recoveries of past recessions due to strict economy by Harding and Coolidge were thrown overboard as passe and obsolete. The election of 1930 was but a harbinger of F.D.R.’s sweep in 1932. The costs of abandoning the people in that crucial hour, refusing to stand in bold opposition to the expansion of government at the sacrifice of individual freedom, cannot be quantified. Had the 71st Congress demonstrated courageous and conservative leadership, like Senators Lee and Cruz have done, the losses both at the ballot box and to the people may have been curtailed, if not largely avoided. Whatever might have happened, this much can be known: it is compromise, not conservatism, that leads to defeat at the polls. The timely warning Coolidge expressed in the spring of 1931 applies just as readily now as it did then. The consequences of compromising, when just a little more resolve and the pressure of time could win a huge victory for the people, will have enormous impact on every one of us. It will especially affect those currently in Washington who find themselves joining the unemployed after next year’s fast-approaching primaries and general election. Just as Coolidge put it, “Those voting for the largest peace-time expenditure any Congress ever authorized cannot escape responsibility.” The Washington establishment will not rule over and against the people with impunity. There will be electoral consequences for surrendering now to the radical and partisan wishes of this President. Woah! I’m really enjoying the template/theme of this website. It’s simple, yet effective. A lot of times it’s very hard to get that “perfect balance” between superb usability and visual appeal. I must say you’ve done a fantastic job with this. In addition, the blog loads very fast for me on Chrome. Superb Blog! WordPress.com makes site building really easy. I chose the template and color scheme through WordPress and set up the rest on my own. The process is very user-friendly. So glad you enjoy the blog. Best wishes on setting up your own page.